All homes currently listed for sale in the zip code 90011 as of 04/18/2019 are shown below. You can change the search criteria at any time by pressing the 'Change Search' button below. "WOW! This listing is the one you have been waiting for. An entertainer's delight located just minutes away from Downtown LA! This luxurious 8 bedroom dream home is move-in ready and features 2 master suites, a gourmet kitchen that comes fully equipped with high quality stainless steel appliances, a NuTone Selective Call Intercom System with indoor/outdoor speakers that run throughout the entire 3 story home, 2 condensing tankless water heaters, 2 AC units by Lennox, 2 Gas Fire Places, a 6 camera internet surveillance system, and tons more upgrades and amazing features that will make you fall in love with this home at first site! And if that is not enough, just moments from your front door you will find a beautifully renovated park which should be completed by next month with full basketball and AstroTurf soccer courts, a pool, and much more! The home was built in 2003 by: Shea Homes and designed by Bessenian Lagoni Architects. Call to schedule your appointment today." 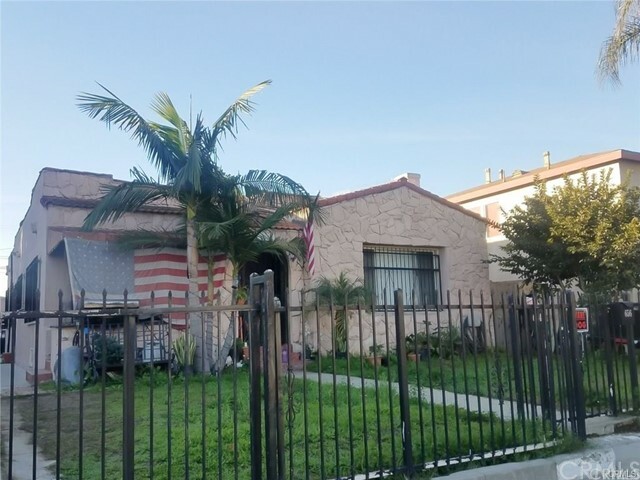 "GREAT OPPORTUNITY TO OWN AN INCOME PROPERTY IN THE HEART OF LOS ANGELES. 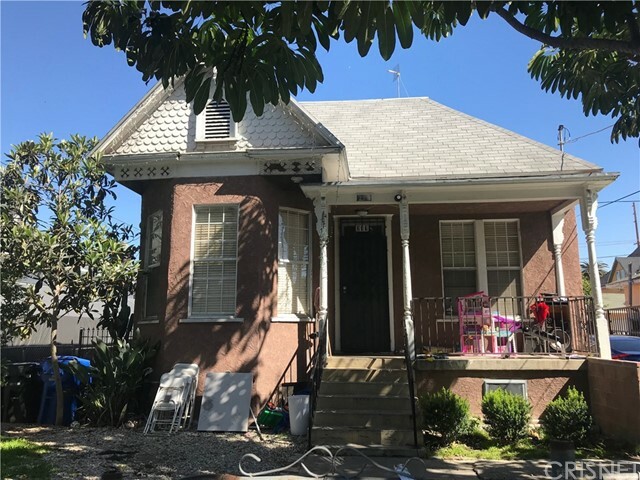 THIS TRIPLEX IS LOCATED WALKING DISTANCE FROM USC, UNIVERSITY PARK, DTLA, MUSEUM, STAPLES CENTER, PARKS, DOLORES HUERTA ELEMENTARY SCHOOL, AND MUCH MUCH MORE! LONG TERM TENANTS ON MONTH TO MONTH CONTRACTS! GREAT PROPERTY FOR FIRST TIME BUYERS WHO WANT HELP WITH MORTGAGE OR ARE LOOKING FOR AN INVESTMENT OPPORTUNITY! FRONT HOUSE FEATURES 4BED/2BATH WITH 2 BACK UNITS OF BOTH 1BED/1BATH. STEADY CASH FLOW OF ABOUT $4,800 PER MONTH WITH VERY LOW MAINTENANCE! PLENTY OF PARKING SPACE WITH BEAUTIFUL FRONT YARD. DO NOT LOSE OUT ON THIS OPPORTUNITY! BUYERS BUYERS BUYERS, WONT LAST LONG! MAXIMIZE YOUR INVESTMENT, ACT FAST!" 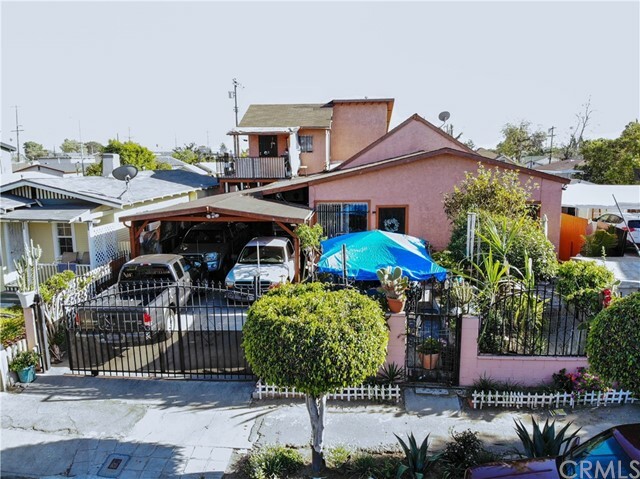 "Wonderful opportunity to own a large home in Huntington Park adjacent neighborhood of Los Angeles. The Little Pink Hideaway can be your own private oasis! This home has been loved and cared for by the same family for nearly the last 40 years. Main home has three ample bedrooms including an updated master suite with a private entrance. A Jack and Jill bathroom separates the 2nd and 3rd bedrooms. Enjoy the bright and spacious living room. The dining room and kitchen are connected by an arched pass-through, creating a semi-open space. The fourth bedroom has a private entrance, bathroom and kitchen. Covered back patio contains a convenient laundry area. Extra storage space is available in the basement. The back yard opens to 51st St., so there are no neighbors in back of the house. A permitted upstairs apartment consists of one bedroom, living room, kitchen and bathroom. The yard is securely fenced in front and back yards. A rolling gate leads to a wide driveway and a deep 2-car carport. The front yard is lush with trees, potted plants and flowers, creating a private paradise. This is a great property for a large or multi-generational family or to use as an investment! Near shopping in Huntington Park, Augustus F. Hawkins Natural Park, USC, downtown L.A., with easy access to the 5 and 110 freeways. Lot is zoned R2, and with a true count of 5 bedrooms and 4 baths, has existing potential for rental income!" 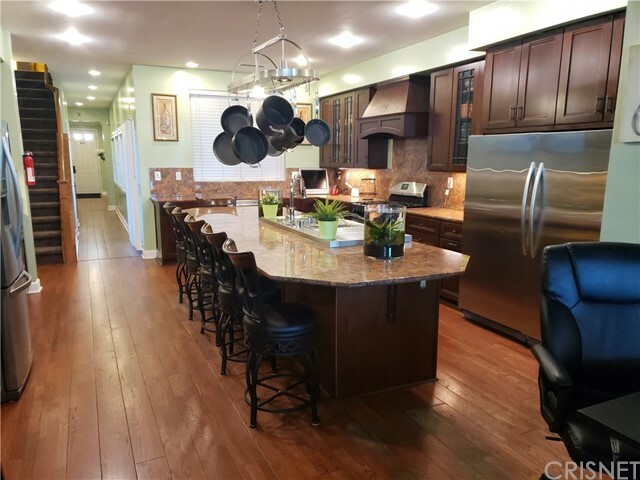 "This property features 2 UNITS, the 1st unit has 3 bedroom and 3 bathrooms it was freshly painted, the kitchen was upgraded with new countertops, white cabinets, backsplash and with a stainless steel range hood, also updated fixtures and new flooring. From the first unit a 1 Bedroom and 1 Bath was divided making it a small casita or suite which features a small kitchen and its private entrance. 2nd unit features 3 bedrooms and 1 bathroom with its own private side yard, both properties are detached and each house has its own address. All units are fenced for more privacy with extra parking, both units have a washer and dryer hookups and 1 car garage not attached to any of the properties. Located in a very desirable area of LA, walking distance from the new RAMS stadium, shopping centers, FWYs and much more..."
"This 2 story single family residence, Located in the City of Los Angeles just minutes south of DTLA With a Large kitchen, dining area, living room with hardwood floors throughout large front yard and large backyard, laundry room, walk-in closets Don't miss The Opportunity to Own This Victorian Style 4 bed 1 bath Located In A Family Neighborhood, This Bright and Spacious Home Is Minutes From DTLA, USC Village, Exposition Park Museums and More. Easy Access and Commute to the 110 FWY, Metro, Expo and Blue lines. A Great Opportunity for The Savvy Investor Wanting to Get into the Expanding Downtown Market or the young family wanting a place to grow." "Probate sale. Total - 3 bedrooms and 2 bathrooms. 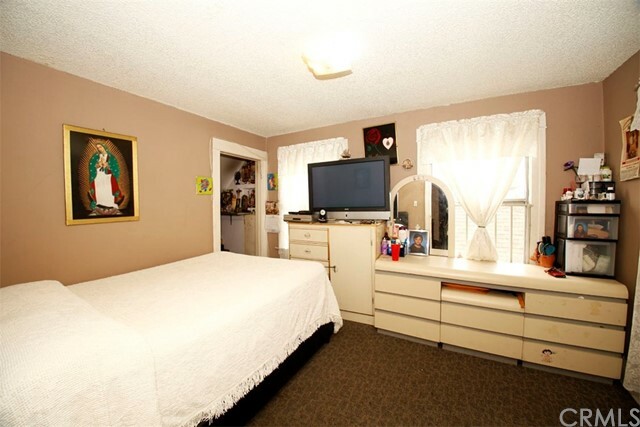 Two bedroom and a full bath, plus a quarter bath and bedroom which may or may not be permitted. Large dining room with original built in shelves. 2 year old roof. This house has a front porch and a big back porch along with interior hardwood floors. Develop the lot! This house is 3.3 miles to Downtown LA. 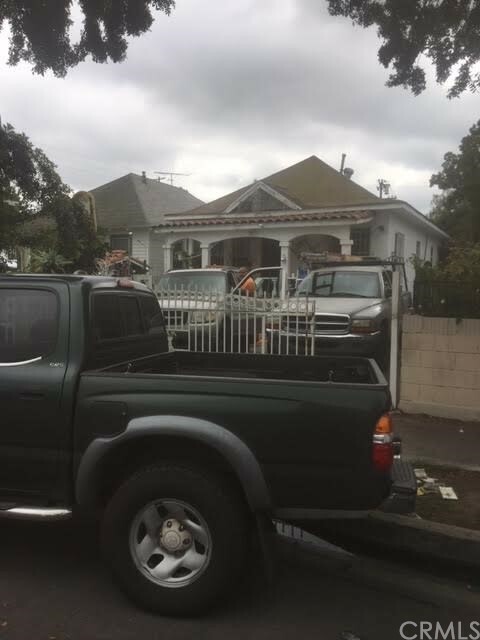 Los Angeles Zoning RD 1.5-1 Restricted Density - Multiple Dwelling, One-Family Dwellings, Two-Family Dwellings, Apartment Houses, Multiple Dwellings, Home Occupations"
"Investors will want this one! Zoned LAR2, This 1912 craftsman property is has two gas meters. 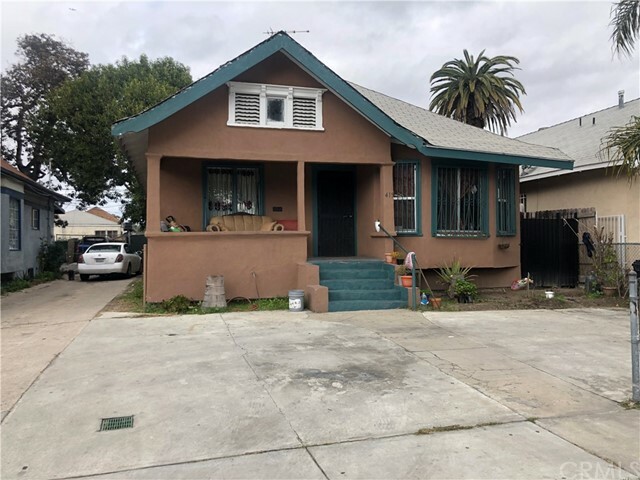 The home has repairs that need to be done according to the Los Angeles city inspection, the garage structure and the home has the architectural charming characteristics of a 1912 built home. The doors have the original casings, single hung windows, original built-ins in the the formal dining area, the fireplace is the original stone and the stairs are original with a chair lift. The home has 3 bedrooms and 1.5 bathrooms, a formal living, formal dining room, indoor laundry with a newer water heater and a large kitchen with a large pantry. This home will not pass an appraisal for FHA/VA/ Conventional structured financing due to roof and ceiling conditions. HERO Lien attached to this home ($61k). NEED TO SEE THIS HOME!!!" 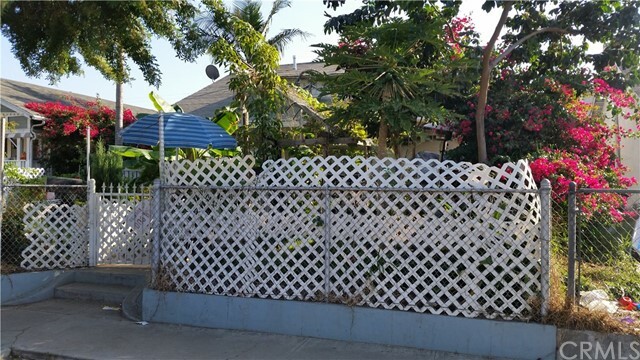 "Great Investment Property, 2 units on one lot, Front Unit has two bedrooms and one full bathroom, an open kitchen with an eating area and a living room, the back unit has two bedrooms and a room that can be converted to a third bedroom, an open kitchen with a living room area. A covered patio on the side, this is a great opportunity to rent one and live in the other. The tenant will move out of one of the units close of escrow. The great thing of these 2 units is that they each have there own entrance. You must see!" "THIS CHARMING PROPERTY IS LOCATED IN A QUIET NEIGHBORHOOD PROPERTY HAS A BIG BONUS ROOM THERE IS NOT ILLEGAL CONVENTIONS, WHEN THEY BOUGHT THIS PROPERTY THEY WENT THROUGH A FHA FINANCING." "This traditional home features 3 bedrooms, 1 bathroom is 1,180 square foot and in good condition. The lot is 7,058 square foot which provides space for expansion." "Recently Remodeled Home... Features include: 3 Bedrooms / 2 Bathrooms, Beautiful kitchen with granite counter tops, updated bathrooms, Tile flooring in Living room, Kitchen, Hallway and Baths, New Carpet in Bedrooms. Alarm on property, Freshly painted interior and exterior. 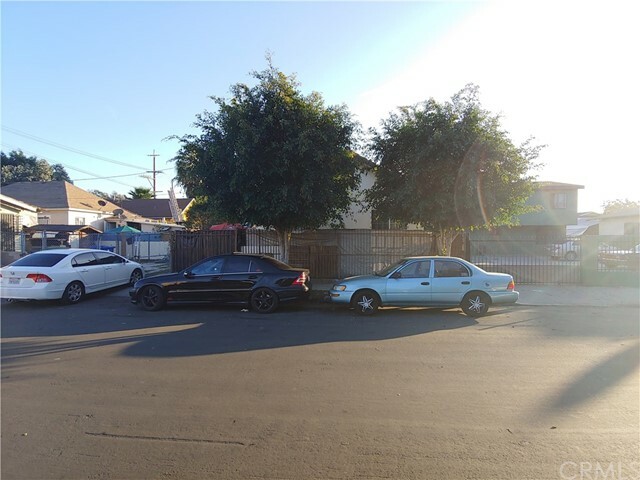 Shared driveway, 1 Car Detached Garage, Uncovered and Rear parking. This is a must see!" "Spacious home currently being used as a 3 bedroom 1 bath with an additional bonus room to the rear of the home. Property has no garage but it has plenty of space to build one or possibly a 2nd unit. This property has great potential, come and view the possibilities for yourself. Near Downtown LA and minutes to USC, the Coliseum, the NEW LAFC Stadium, Expo Park, Science Center, Natural History Museum, Shopping and more!" "Great investor opportunity. 3 Bedroom 1 Bathroom. Interior pictures not available.Occupied property, inspections not available - sold as-is. No for sale sign. Contact with occupants is prohibited. Please see private remarks." "Probate Sale! No Court Confirmation Required! this is a Duplex with a front house and a detached rear unit. This duplex features 3 bedroom 1 bathroom (Front Home no Closet on Rear 3rd Bedroom, maybe Den) and 1 bedroom and 1 bathroom unit (approximately +/- 1,473 square feet). New living room flooring and water heater in rear unit! 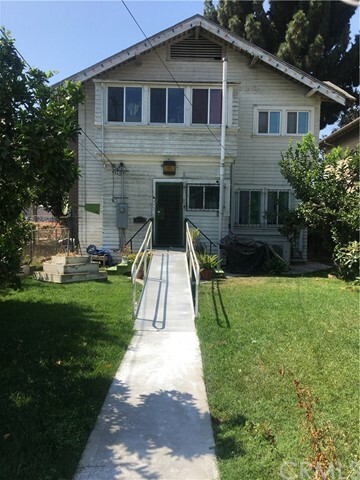 This duplex will be delivered occupied, the front unit is currently rented at $1,100 per month and the back unit is $700 per month. Please review copy of permits. 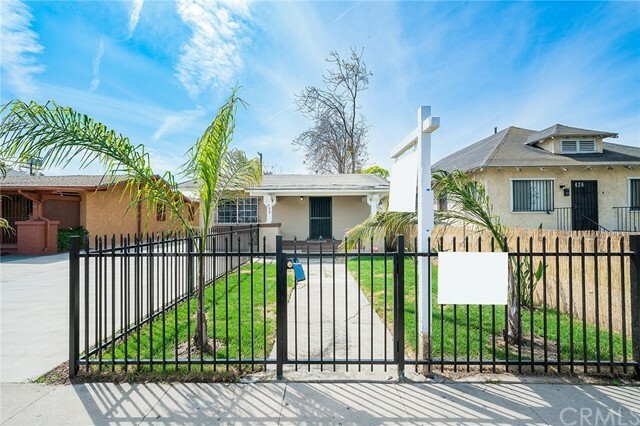 The property is situated in a convenient location, close to the 110 Freeways and 10 Freeways. 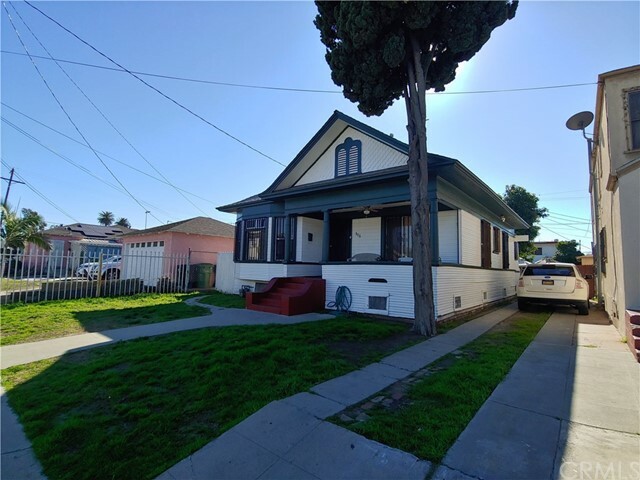 Don't miss this amazing investment opportunity to own a Duplex in Los Angeles. Please do not disturb occupants!" "Great investment opportunity! 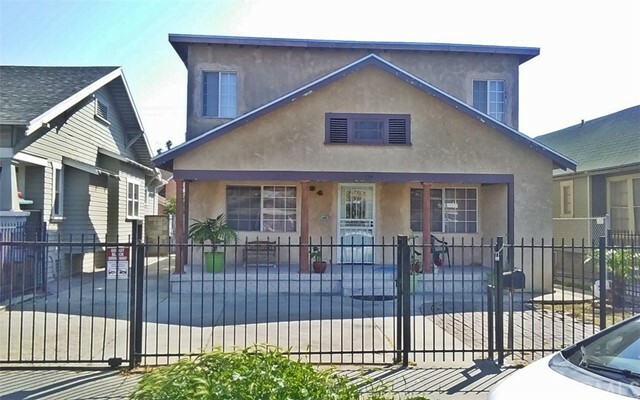 This 2 bedroom 1 bath home is nicely located in the heart of Los Angeles. Large backyard with loads of space and room for improvement. Probate sale, court confirmation required."